Vice President Mike Pence will*address NRA members at the NRA-ILA Leadership Forum*on Friday, April 26,*2019*in*Indianapolis, Indiana. We don't charge for membership or access to information here at ASD. If you like what we are doing, and would like to become a member/sponsor or give a donation, you can do so below. Your donation will be used to pay for hosting service, domain, and maintenance costs, and to provide additional and improved services only! This website is presented as is, without warranty of any kind, either express or implied. While reasonable precaution has been taken in the preparation of the material presented herein, the author(s) and AmericanSheepdog.com assume no responsibility for errors. Neither the author(s) nor AmericanSheepdog.com shall have any liability for damage or harm caused or alleged to be caused directly or indirectly by the information or instructions contained in this website. 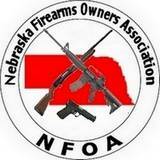 The author(s) nor AmericanSheepdog.com condone the misuse or illegal use of firearms in any manner. It is further stated that neither the author(s) nor AmericanSheepdog.com assumes any responsibility for the use or misuse of the information or instructions contained herein. The opinions expressed here in Articles, Blogs and Forums, are that of the author, and do not necessarily reflect the opinion of AmericanSheepdog.com.